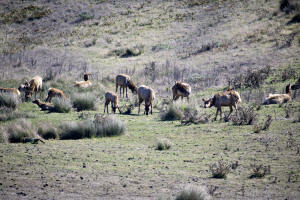 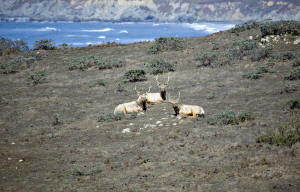 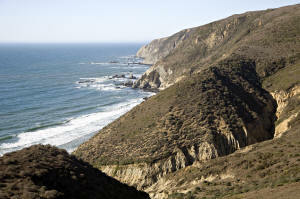 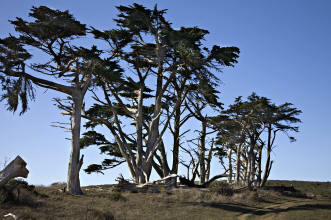 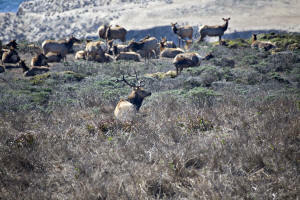 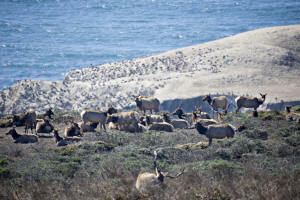 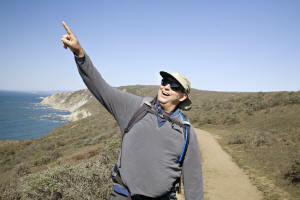 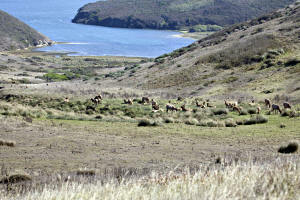 On Saturday, Oct 11th, we drive out to Point Reyes National Seashore for a hike in Tomales Point Tule Elk Reserve. 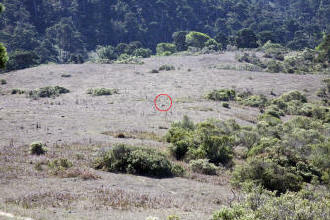 During our drive in through the Seashore, Jon's spots an object that looks very much like a coyote in the distance, see red circle below. 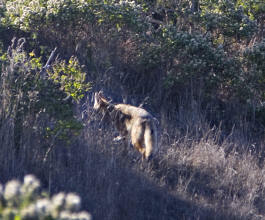 Sure enough it is one of the first that we have seen in the wild. 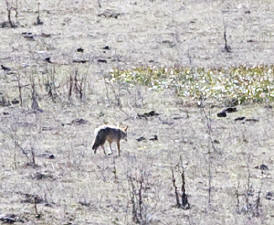 Just after leaving the reserve, we spot another coyote in the brush. 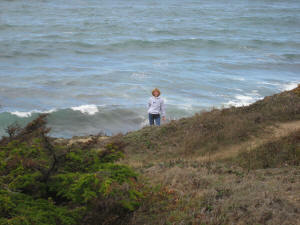 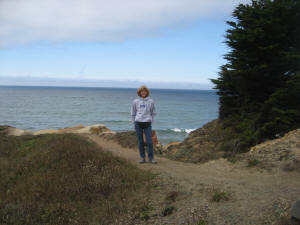 We continued our exploration of the Marin/Sonoma coast the weekend of October 18th with a trip to Sea Ranch. 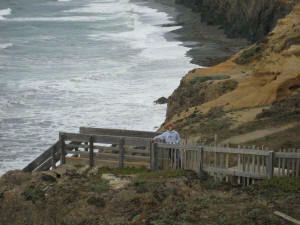 We stayed in Summerwind, our favorite rental house on the coast , and enjoyed a nice relaxing weekend away with reading, hiking, and tennis. 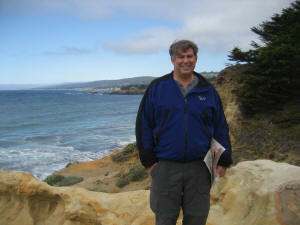 On October 22nd Jon's Mom, Emile, died of cancer at the age of 77. 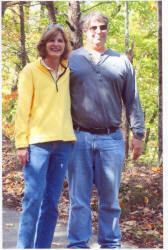 The picture below is from Jon's parents visit in 1999. 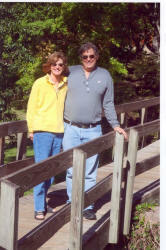 The family gathered at their house in Lake Lure, NC for a memorial service.